Poudre River Supporters turn out in droves again to fight for the Poudre! One hundred more people voiced their concerns at the Larimer County Commissioners second hearing on the Thornton Pipeline Proposal this week. The Commissioners will hold a third meeting on August 1st to hear the rest of the comments. 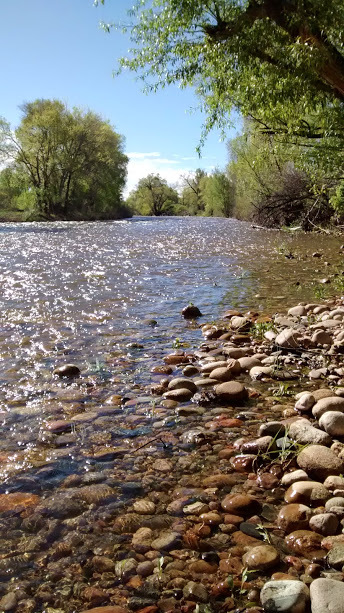 Attend the meeting on August 1st and add your voice to ours by asking the the Commissioners to “DENY” the Permit For The Thornton Pipeline and tell Thornton to send their water down the Poudre. June 22, 7:00pm Lincoln Center, Magnolia Room Tickets $10 here: https://www.lctix.com/john-fielder Please join legendary Colorado nature photographer, John Fielder, in celebrating the 50th anniversary of the U.S. Wild and Scenic Rivers Act. John will showcase some of this wonderful photography on the big screen in the Magnolia Theater, including photos of the Dolores River, Yampa River, and our own Cache la Poudre River. The Wild and Scenic Rivers Act was created by Congress in 1968 and now includes 208 sections of rivers across the U.S. The Cache la Poudre River is the only designated Wild and Scenic River in the state of Colorado. Save The Poudre is hosting John Fielder to celebrate the anniversary and the Cache la Poudre's unique Wild and Scenic status. John Fielder has worked tirelessly to promote the protection of Colorado’s environment during his 35-year career as a nature photographer and publisher. His photography has influenced people and legislation, earning him recognition including the Sierra Club’s Ansel Adams Award in 1993 and, in 2011, the Aldo Leopold Foundation’s first Achievement Award given to an individual. Over 40 books have been published depicting his Colorado photography. He teaches photography workshops to adults and children, and his latest books are and Wildflowers of Colorado and A Colorado Winter. He lives in Summit County, Colorado. 30% of proceeds to benefit Save the Poudre. Information about John and his work can be found at johnfielder.com.